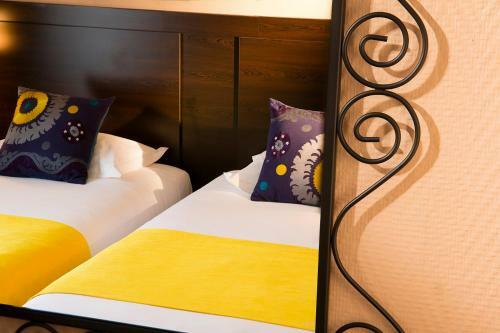 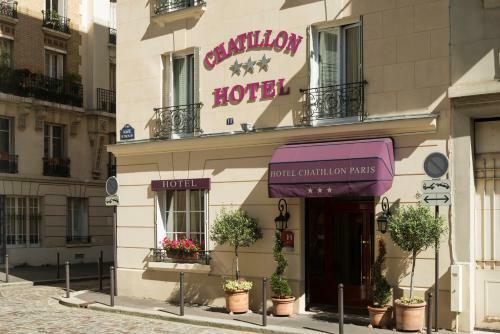 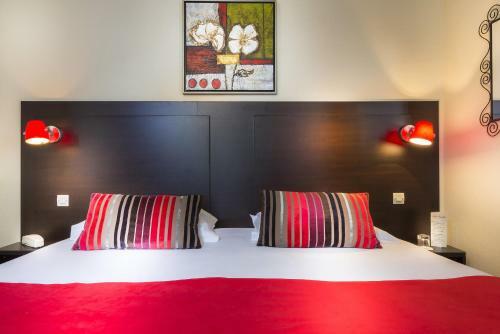 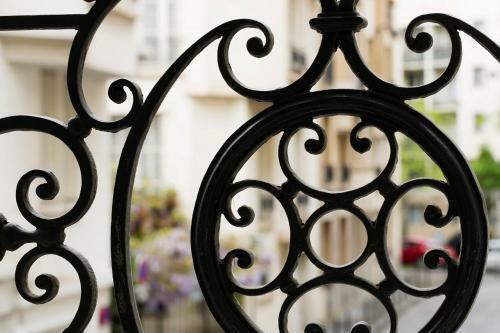 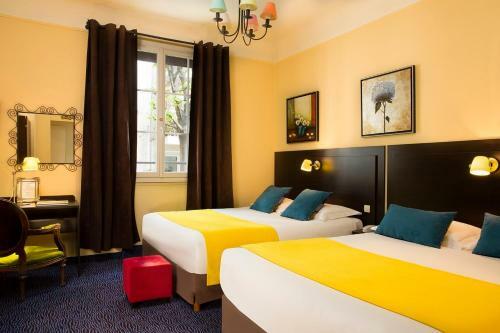 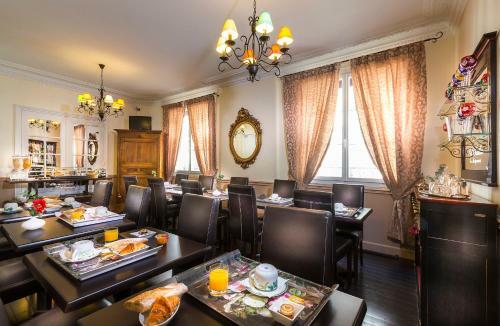 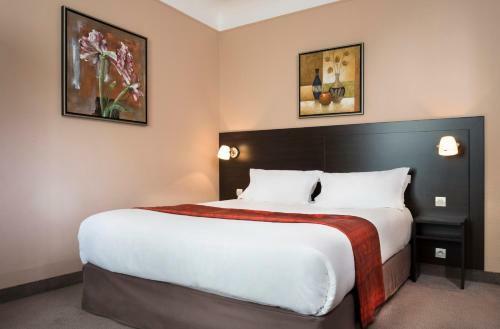 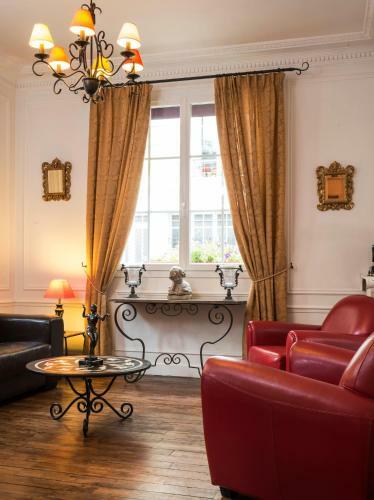 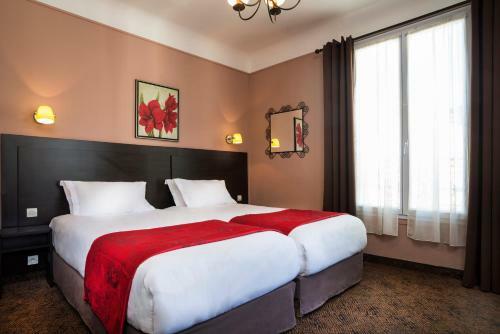 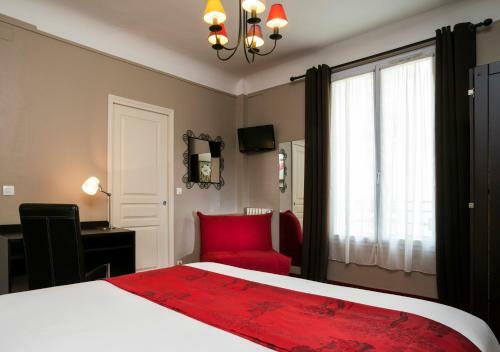 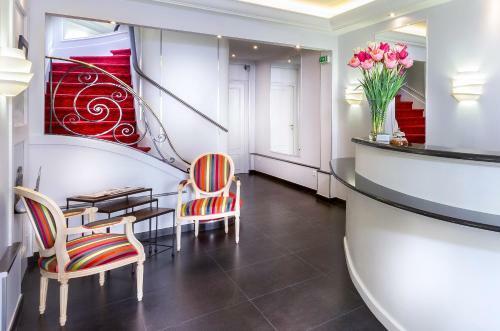 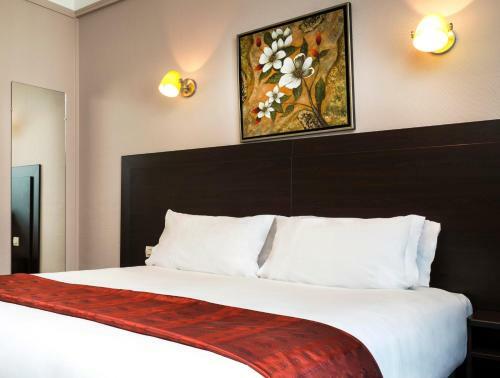 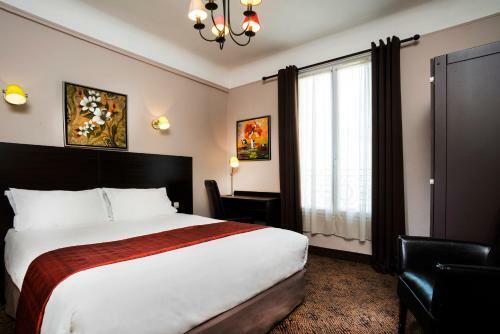 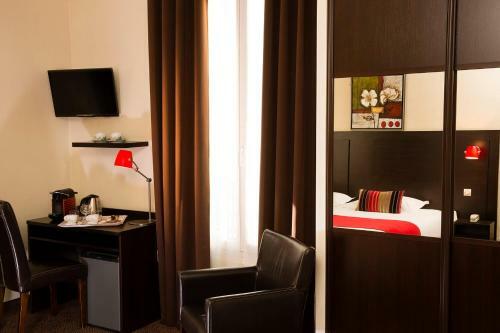 Located in the 14th arrondissement of Paris, a 15-minute walk from Parc Montsouris, this hotel offers modern en suite rooms with free Wi-Fi internet access. 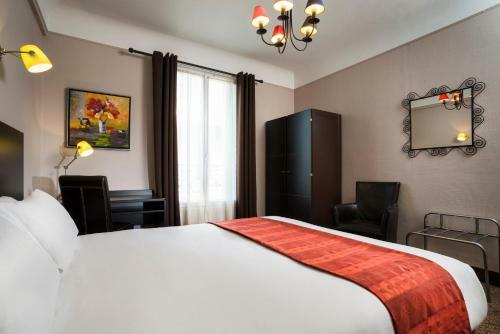 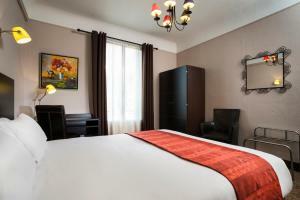 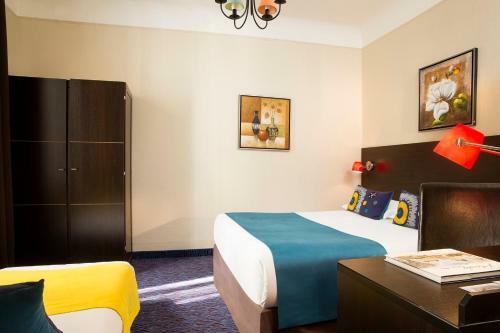 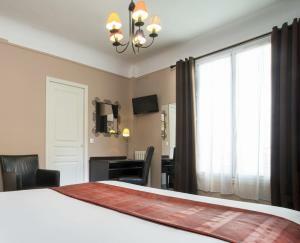 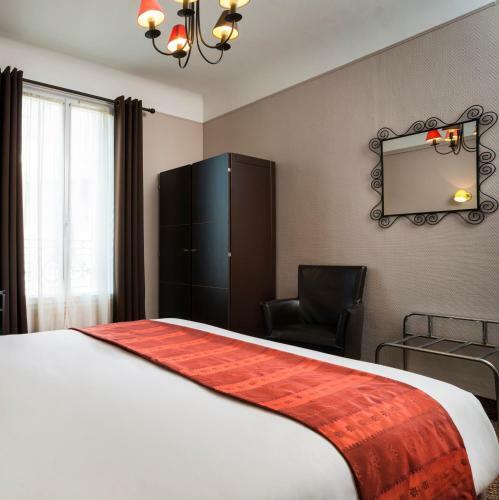 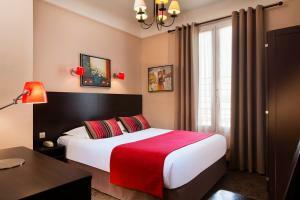 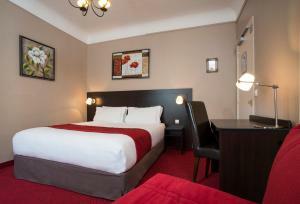 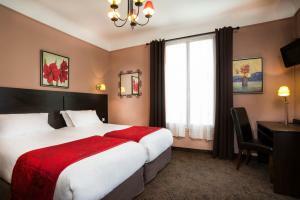 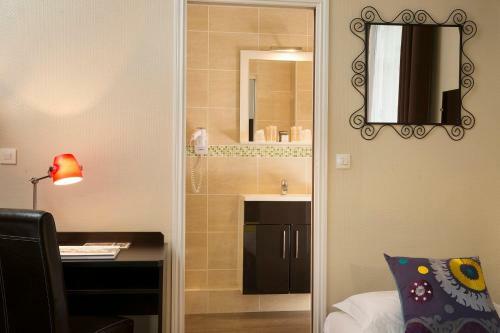 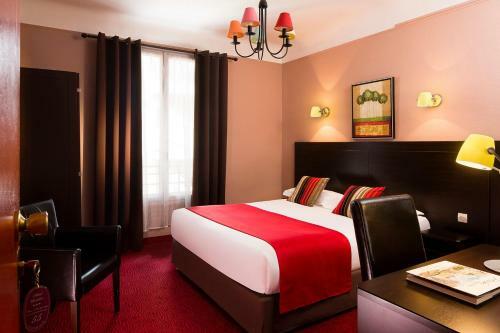 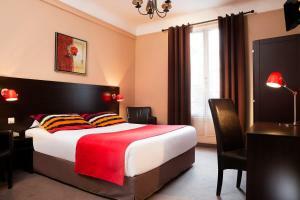 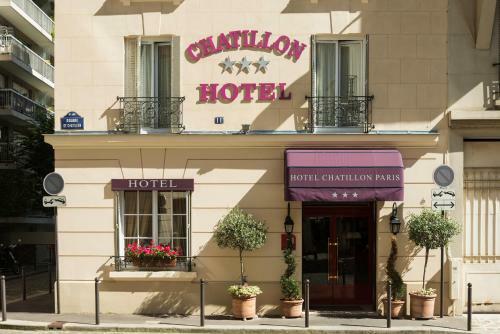 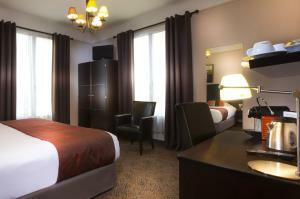 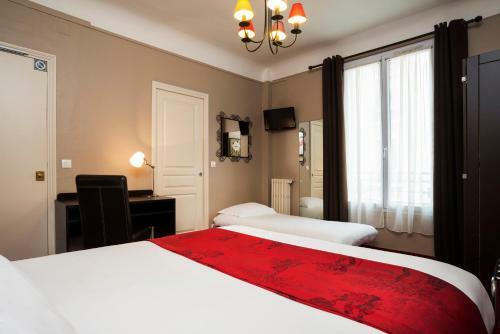 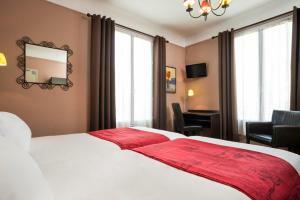 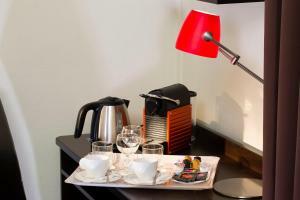 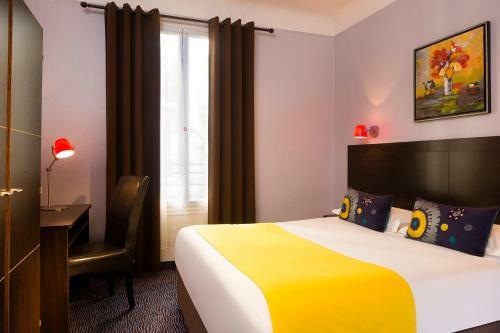 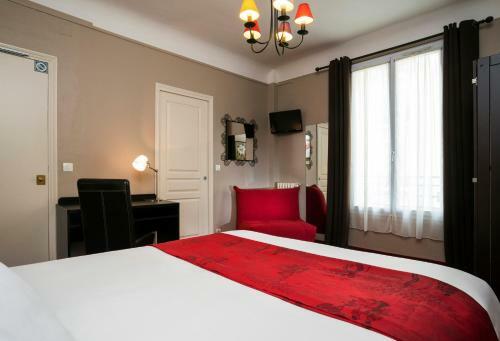 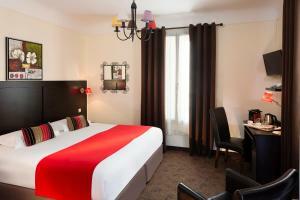 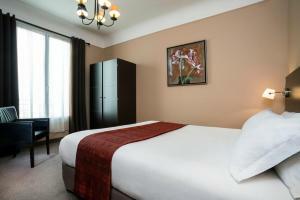 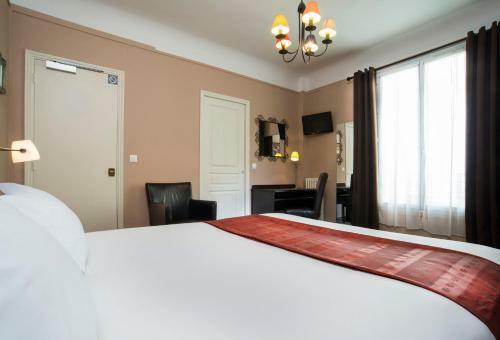 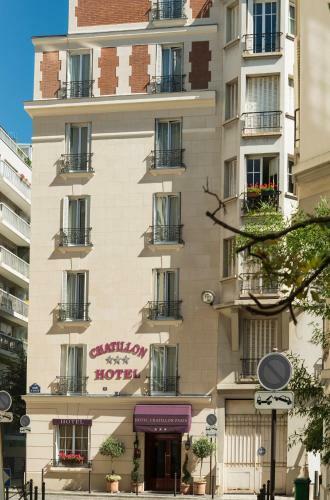 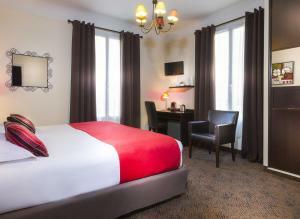 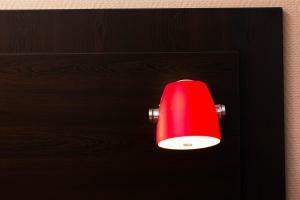 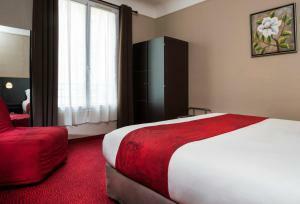 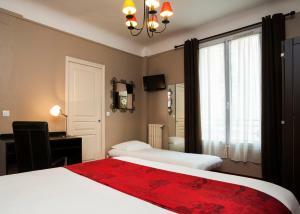 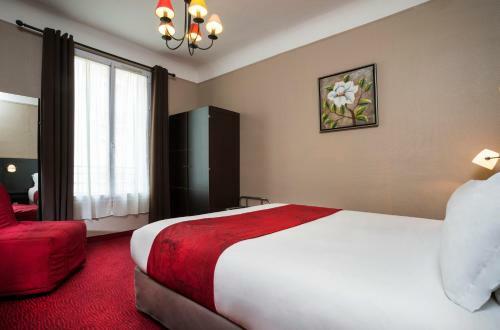 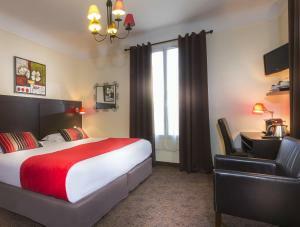 Guestrooms at the Chatillon Paris Montparnasse are equipped with a flat-screen TV with satellite channels. The rooms are all en-suite and feature bedding by Sealy. 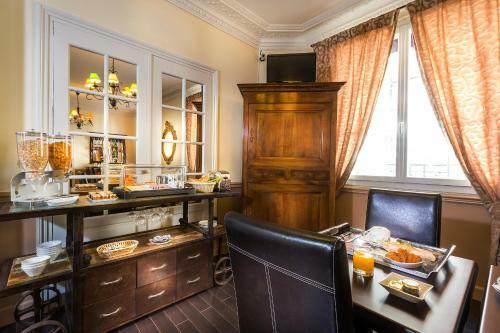 A English-style, buffet breakfast is served in the Chatillon Paris Montparnasse’s elegant dining room each morning. 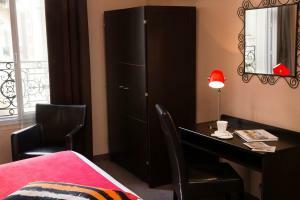 In the evening, guests are invited to relax in the hotel’s lounge, which offers a TV and a computer. 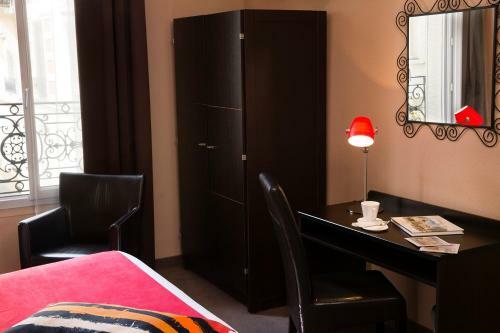 Additional facilities available include a 24-hour reception desk and a reservation service for shows and excursions. 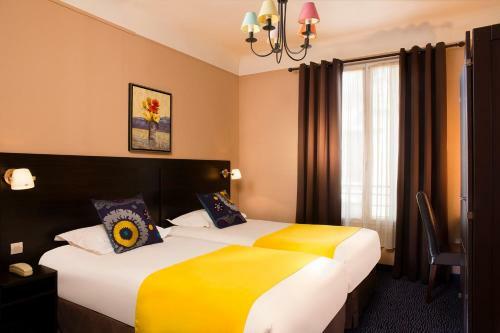 The hotel is a 10-minute walk from Porte d’Orléans Metro Station, which offers direct access to Notre Dame and Montmartre. 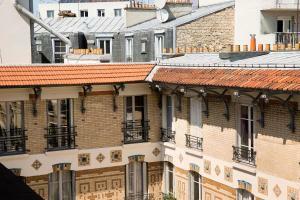 From Porte d’Orléans, it is a 5-minute tram to Paris Expo Porte de Versailles. 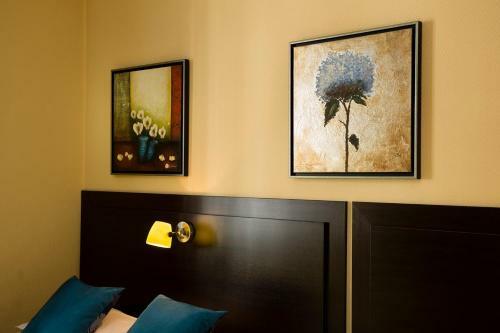 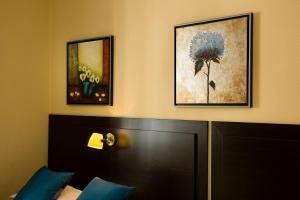 This room is equipped with free Wi-Fi access, a safe, flat-screen TV and it has bedding by Sealy. 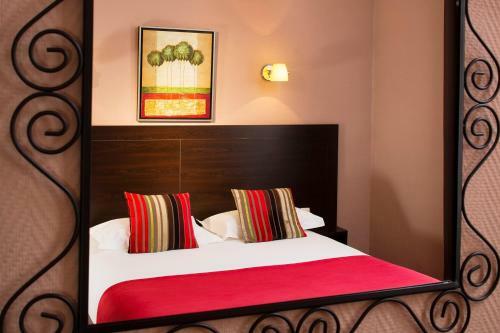 Rate: € 75.00 ... € 207.50; select dates below to get current rates. 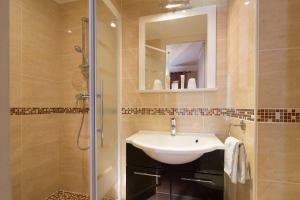 En-suite room with carpeted floors, satellite TV and free Wi-Fi. 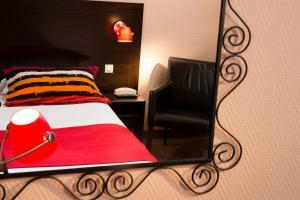 Rate: € 55.00 ... € 230.00; select dates below to get current rates. 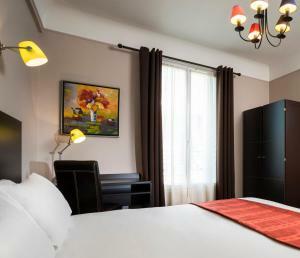 This room is equipped with free Wi-Fi access, a laptop safe and a work desk. 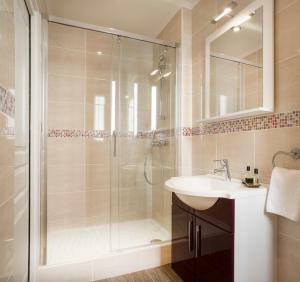 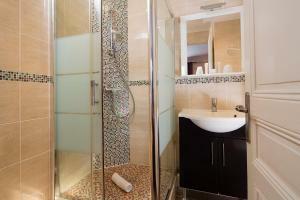 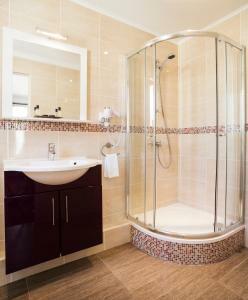 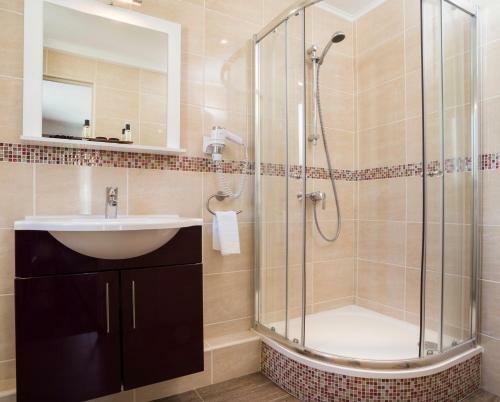 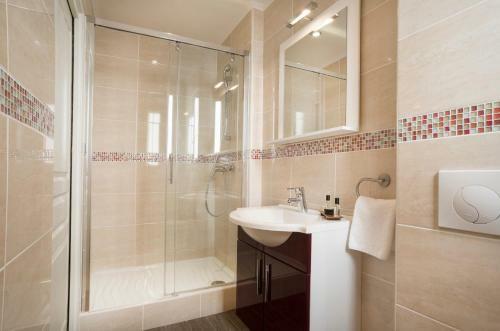 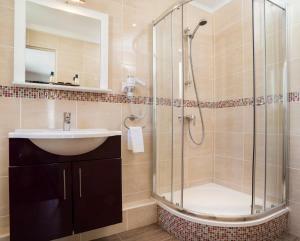 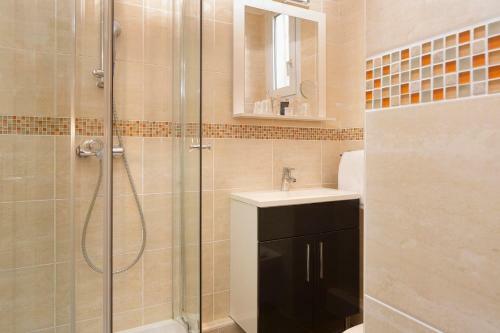 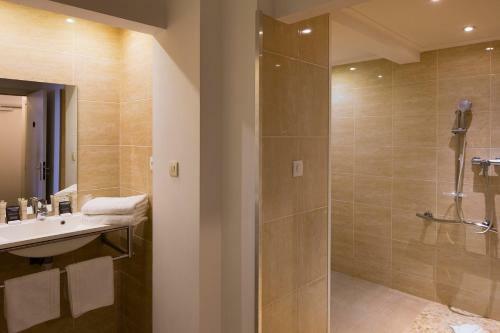 The en suite bathroom offers either a bathtub or shower. Rate: € 65.00 ... € 230.00; select dates below to get current rates. This double room has an electric kettle, a king-size bed and minibar.